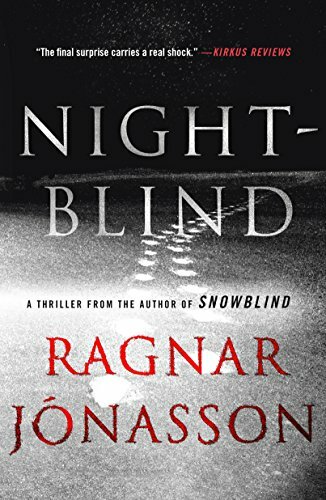 In NIGHTBLIND, we are thrown back into the world of Ari Thor Arason and his Northern Icelandic village. As the story unravels, the reader is taken on a journey with twists, turns, and a few surprises by the end. The suspense is only heightened by the personal elements of the relationships between the characters. It is the balance of honest human interactions with the investigation that keeps me coming back for more. Within the first chapter, I was instantly reminded why Jonasson is such a great voice in crime fiction. The way that he weaves the past into the present to inform and enhance the story is perfection. I must say, that I enjoyed this book a little more than the first. Though both are wonderful, I felt that I was able to invest more in the crime because I already knew the players and some of their backstory. Of course, we will always learn new things as an author progresses with a series, but I was more absorbed in the investigation this time around. I cannot wait to read the next book! Chilling and complex, Nightblind is an extraordinary thriller from an undeniable new talent. Ari Thor Arason is a local policeman who has an uneasy relationship with the villagers in an idyllically quiet fishing village in Northern Iceland—where no one locks their doors. About the Author: RAGNAR JONASSON was born in Iceland and works as an Attorney at Law and writer in Reykjavik. Before embarking on a writing career, Ragnar translated fourteen Agatha Christie novels into Icelandic. 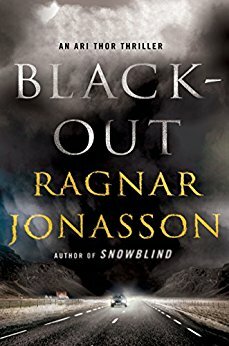 Ragnar is the co-founder of the Reykjavik international crime writing festival Iceland Noir. He has appeared on panels at various crime fiction festivals, including Bouchercon and Left Coast Crime in the US. Ragnar lives in Reykjavik with his wife and two daughters.